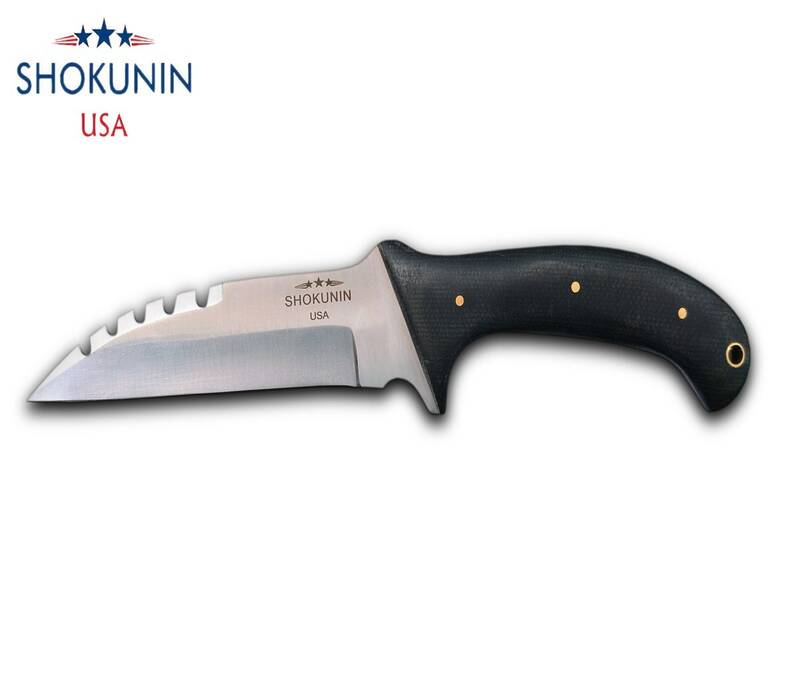 SHOKUNIN Wharncliffe blade Hunting knife has a hand forged blade made out of D2 Tool & Die steel. This masterpiece piece takes days to produce starting from blanking steel to finishing/assembling scales. 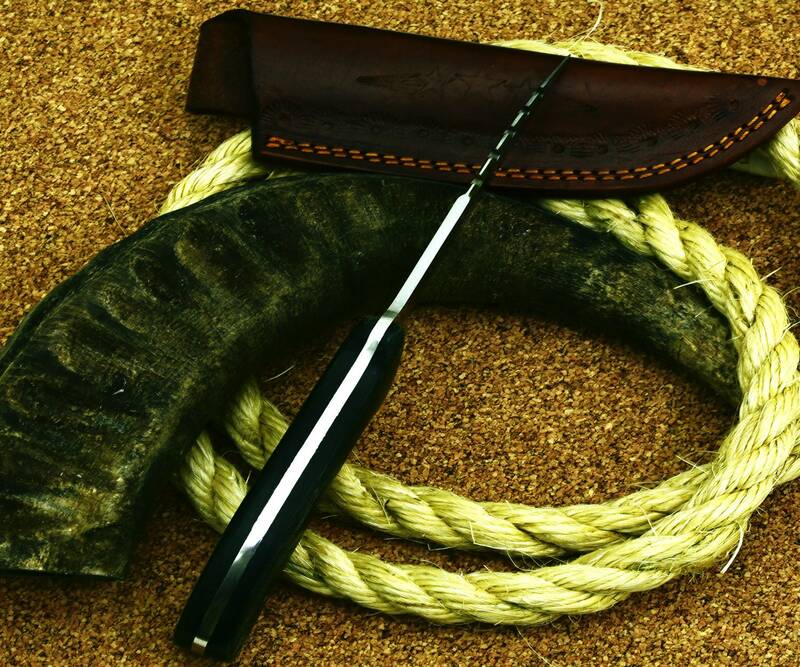 The handle is made with denim Micarta and polished to have friction which gives a Modern look. The knife is the perfectly balanced and is very light weight to carry around. 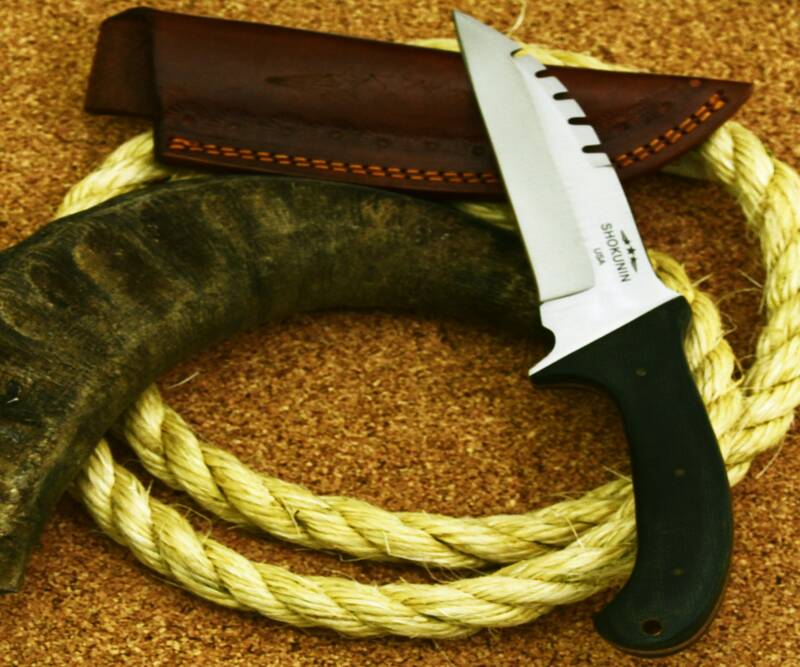 Can be used for any purpose such as hunting, camping, hiking, utility, tactical etc. D2 Tool & Die steel has outstanding properties of strength and hardness. We amplify its properties by oil quenching it at 2100 deg F to cool it down fast, and we do it twice to make sure its hard to its inner core to withstand any kind of work you may put it to use.